Technology development for “smart” forklifts and trucks that communicate with each other is underway at Rochester Institute of Technology where a team of engineers is building a next-generation intelligent materials handling system. The research project focuses on the design and prototyping of intelligent systems for a fleet of autonomous materials handling equipment to advance warehouse productivity and safety. In most instances, robots are not typically making decisions. Individuals at a central facility program robot movement and items to distribute over fixed paths, he explained. The system he envisions through the project work would be of a fleet of self-driving forklifts that communicate with each other, determining which tasks to do based on machine learning and autonomous technologies. Receiving a grant from Toyota Materials Handling North America USA for $499,785, researchers will work with the company’s New York affiliate, The Raymond Corp., over the length of the project. The grant, part of Toyota’s University Research Program, was created to develop new technologies for the entire supply chain, logistics and materials handling industry. Currently in the initial phase of the project, researchers are developing a simulation to represent the overall autonomous system and modeling of decision-making protocols and how the vehicles would interact. In the next stage, the team would build a scaled system, consisting of small robots that will autonomously drive and communicate with each other for testing. A full-scale system for forklifts and other robotic equipment found in warehousing would be implemented as the final part of the project. The team is looking to incorporate alternative indoor localization tools for the autonomous system. RIT’s expertise is in the area of simulation, robotics, developing models and logic for systems optimization, machine learning and systems communication, specifically the combination of hardware and software necessary to best use internet connectivity to be able to perform autonomous activities. “In terms of automation in warehousing, the most expensive thing is labor. Looking at automating warehouse processes, an automated vehicle could be working 24/7. This can be beneficial for companies to increase productivity and safety. This is a research project that is for developing new material handling methods potentially benefitting the whole industry,” Kuhl said. Note: The research team also includes Raymond Ptucha, Andres Kwasinski and Amlan Ganguly, professors in RIT’s computer engineering department. 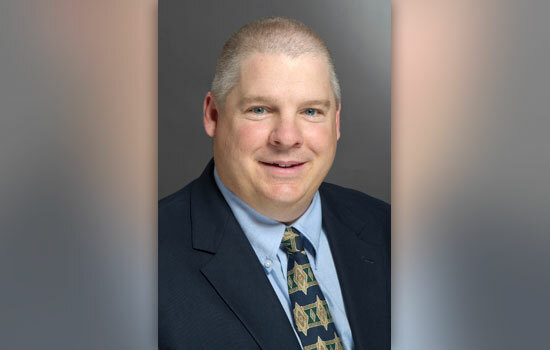 Each brings expertise in supply chain management, robotics, autonomous vehicles, communications and millimeter-wave technologies Also collaborating with the team is Scott Reardon, chief executive officer of D3 Engineering.